It is replaced by the Datacard SD360. Full Color, YMCKT Color Ribbon Kit includes one ribbon, one isopropanol cleaning card, and one adhesive cleaning sleeve, 500 image prints per roll. The ribbon is used to print in a variety of colors: yellow (Y), magenta (M), cyan (C), and black (K). The remaining topcoat (T) provides an extra layer of protection for the card. This ribbon is used to print color on one side of a card. Compatible with SP35, SP35 Plus, SP55, SP55 Plus, SP75, SP75 Plus, FP65, FP65i, SD260, SD360 and SD460 printers. Full Color, YMCKT-KT Color Ribbon Kit includes one ribbon, one isopropanol cleaning card, and one adhesive cleaning sleeve, 300 image prints per roll. The ribbon is used to print in a variety of colors: yellow (Y), magenta (M), cyan (C), and black (K) on the front of the card, as well as a clear protective topcoat (T). The back side of the card can printed on using the second black (K) and the remaining topcoat (T) provides an extra layer of clear protection for the card. This ribbon is used to print color on one side of a card and black on the back. Compatible with SP55, SP55 Plus, SP75, SP75 Plus, FP65, FP65i, SD360, and SD460 printers. 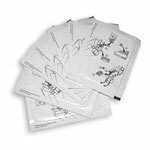 Monochrome, KT Black Monochrome Ribbon Kit includes one ribbon, one isopropanol cleaning card, and one adhesive cleaning sleeve, 1,000 image prints per roll. The ribbon is used to print in Black (K) only, and remaining topcoat (T) provides an extra clear layer of protection for the card.This ribbon is used to print color on one side of a card. Compatible with SP35, SP35 Plus, SP55, SP55 Plus, SP75, SP75 Plus, FP65, FP65i, SD260, SD360, and SD460 Printers. 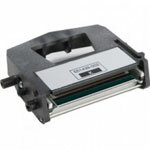 SP35 & SP55, Replacement printhead, 203 dpi. The powerful Datacard® SP55 card printer offers the speed and features to meet your current requirements and the flexibility to keep pace with changes in your card program. We integrated the power and functionality of a professional-grade card printer with the plug-and-play simplicity of a desktop printer. 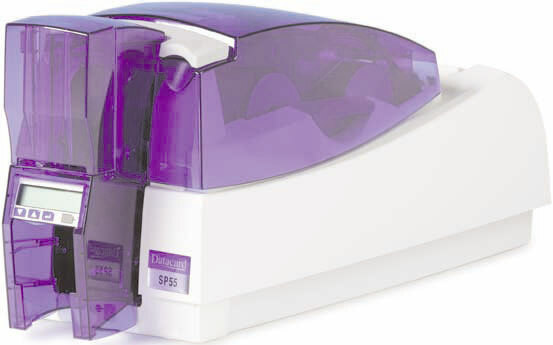 The result is another breakthrough in technology-the Datacard® SP55 card printer. This versatile, new printer is advanced enough to meet the demands of high-profile security programs, yet easy and affordable enough for enterprises launching their first card programs. The Datacard SP55 card printer delivers high-quality photo IDs that elevate security programs to entirely new levels. Smart card, magnetic stripe, barcode and proximity options make it easy to create multi-technology IDs that provide authorized users with secure access to facilities, networks and other privileges. For consumer marketers, this new printer serves as a powerful platform for highly profitable loyalty programs. The design of the Datacard SP55 card printer is based on more than 10 years of market experience, and it anticipates the emerging needs of your card program.